Also the founder of SOSM, Stevens was a corporate professional and active businessman up until the year 2007 when he lost all his vision due to Glaucoma, an eye disease that causes blindness. He then founded two non-profit organizations, Malaysia Glaucoma Society and SOS Missions Bhd, with the objectives of educating the public on preventing unnecessary blindness and also to help patients with different eye disorders cope with handling the changes that occur with the disease. 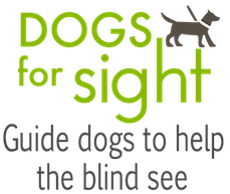 Stevens also started the Dogs for Sight campaign and stresses the importance of “independence of mobility” amongst the visually impaired. 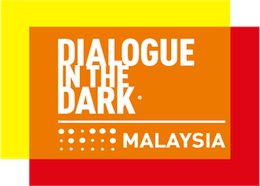 In 2012, Stevens also founded the Malaysian Chapter of Dialogue in the Dark, a German based social enterprise. Dialogue in the Dark provides training programs to train the visually impaired (VI) to be trainers and guides at the same time creating job opportunities for them. Kaye Chan, married to Stevens Chan at the age of 28 is also the co-founder of Malaysia Glaucoma Society and SOSM. Kaye has been a pillar of strength to Stevens in his journey and they both share the same passion of reaching out to the unreached; fighting causes of unnecessary blindness. Staying true to her mission of bringing awareness of the importance of eye health to the public, she has given her life to serving the underprivileged. Toh Mee Peng has been actively involved with SOSM since its inception. With her management skills as an agency manager of an insurance company, she has provided support in the different campaigns of SOSM. Her heartbeat is to help the underprivileged with their needs and to offer assistance in as many ways as she can.